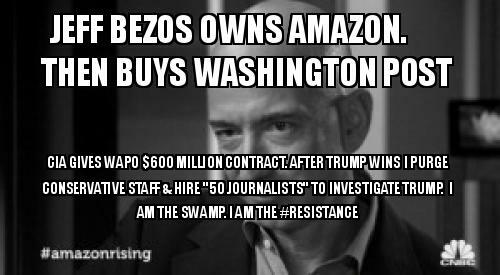 Bezos claims the paper maintains editorial Independence do you think that's untrue? prosecuted more whistleblowers than ALL PREZIES combined..
That is all true. Obama is out of office. What is your point? 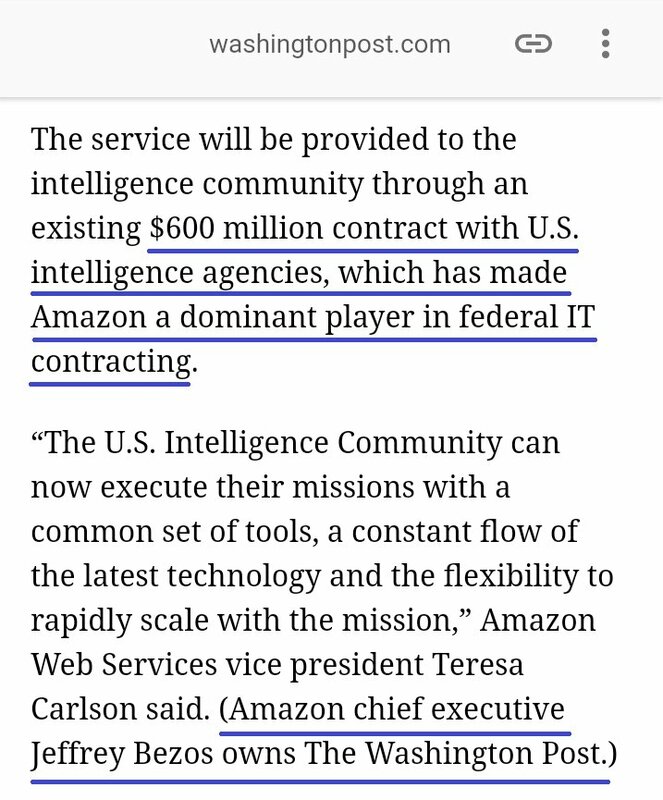 None of what Obama did in office changes the fact that ami tried to blackmail bezos. the point of the blackmail seems to be that they wanted to conceal the fact they're in bed with Saudi Arabia. Or the fact the very first thing the military undermined was telecommunications companies in the 60's and hasn't stopped since. 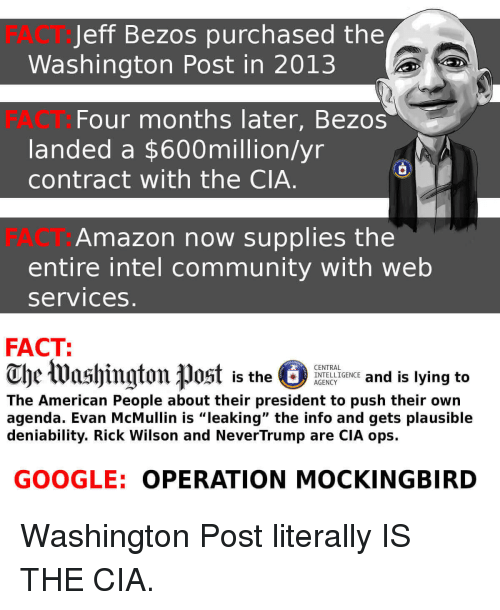 600 million from the CIA would make even you change your tune. But you work for nothing. The majority of MSM is filtered through JSOC and has been for decades. What people are witnessing today is JSOC exuding pressure on social media platform providers to either conform to their will or be ruined. Since Trump won the election there has been a conscious effort by JSOC to control the MSM narrative in the hopes to cover up the biggest spy scandal in U.S. history implimented by the Dems and their partisan intel operatives . And Trump and Russia are their scapegoats.